Plant Description: Christmas Cactus is also known as Epiphytic Cactus. Its stems are joined in segments; branches appear flattened with leaf looking stems that weep gracefully. They bloom in winters when the day starts shortening. Christmas Cactus is easy to grow as a houseplant in containers. 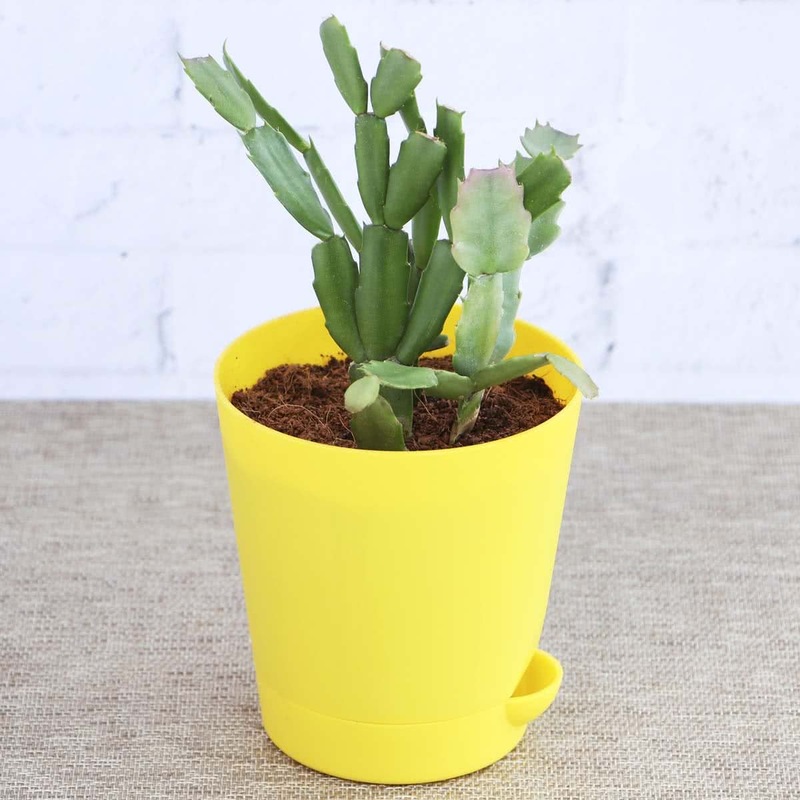 Plant type: Cacti & succulents, flowering plant. Growth Habit: Low growing, epiphytic plant. Average Landscape Size: 2 x 2 ft. distance. Special features: Christmas Cactus flowers around Christmas. Soil: Use a soil mix that is light and drains easily. Pot Size: 12 to 14 inch pot. Potting/Transplanting: The pot selected must have proper drainage holes. To prevent water logging, cover the drainage holes with broken pieces of earthen pots or brick pieces before putting the soil. Transplant the Christmas Cactus sapling in a pot along with root-ball of original soil. Carefully place the plant in the middle of the pot & cover the roots completely with remaining soil. 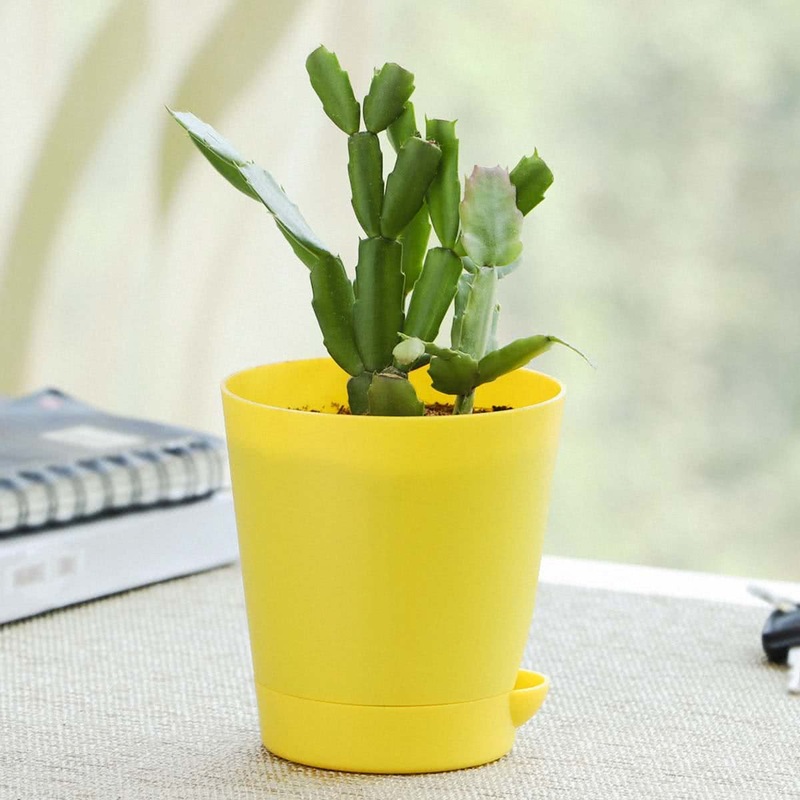 Repotting: Christmas Cactus should be repotted every year; especially when the plant has grown too big, has an extra root bound, and is oversized as compared to the old pot. Sunlight: Christmas Cactus needs bright indirect light for flower induction. Plant can grow very well in full shade. Water: The soil should stay always moist, although they will need less water when not in bloom. Misting the plant with hand sprayer helps. Fertiliser: Provide handful of vermicompost every 3 months. Temperature: Christmas Cactus can tolerate low to high temperatures. Humidity: Christmas Cactus can tolerate low to high humidity. Pruning: Prune the Christmas Cactus plant after blooming season is over. 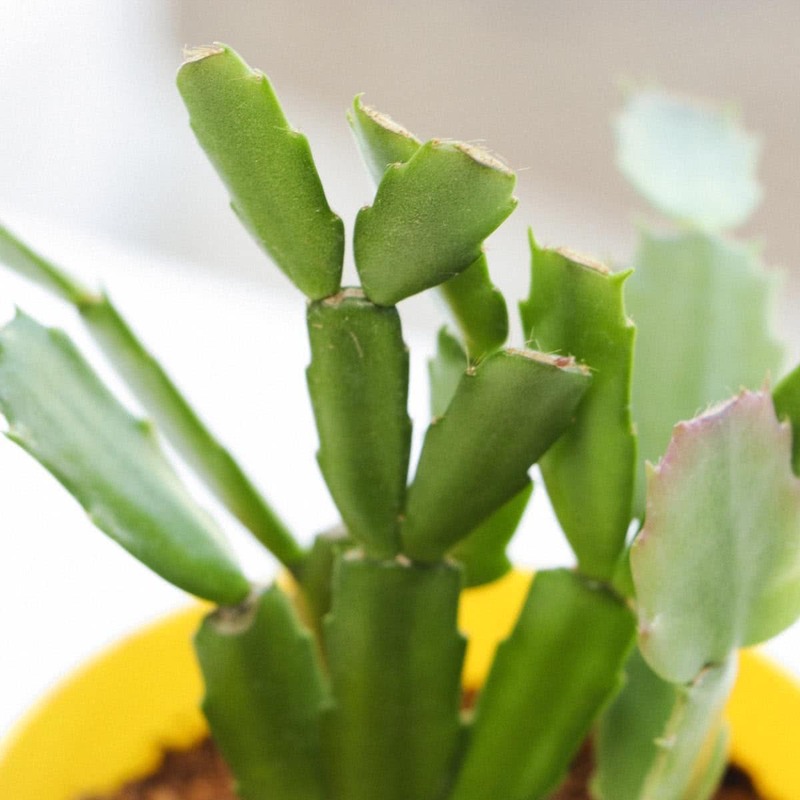 Propagation: Christmas Cactus can be propagated using stem cuttings and splitting. They are epiphytic cactus, with flattened, leaf looking stems. They bloom in winters (around Christmas)when the day starts shortening. Grown in fancy indoor pots, baskets & window planters.